Dr Chrispus Oduori kneels amidst a sea of colorful plastic buckets in a screenhouse in Western Kenya and shifts some leaves of young finger millet plants till he finds what he’s looking for. Oduori, the director of the Kisii Centre of KALRO Food Crops Research Institute (FCRI), is working to help East African farmers increase finger millet yields by introducing beneficial traits from wild relatives into cultivated varieties. Farmers have been cultivating finger millet for thousands of years. 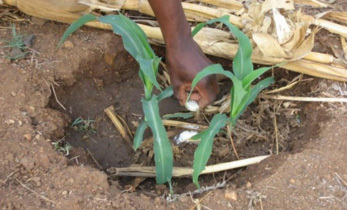 It is still an important subsistence crop in small-scale farming systems, particularly in parts of eastern and southern Africa as well as in India. 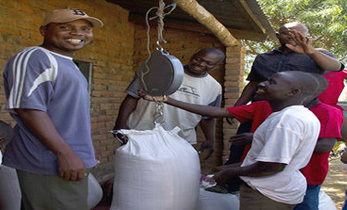 In Kenya, it is used for making foods like ugali, a thin stiff porridge, and busaa, a local brew. Oduori hopes that soon the crop will stage a comeback in Kenya after being largely replaced by maize and sorghum. 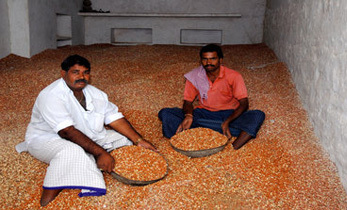 Interest in finger millet is in fact growing worldwide, even outside its centre of origin. Oduori is well placed to tout not only the nutritional but the agronomic benefits of finger millet. He has spent the past 30 years working with the crop and became the first plant breeder to release improved varieties of finger millet in Africa. Today, Oduori’s improved finger millet varieties are planted by farmers throughout Western Kenya. Unfortunately, the improved varieties are still susceptible to blast disease and the Striga parasite. “With climate change we will see even greater outbreaks of pests and diseases due to weather extremes. 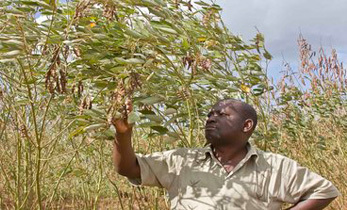 We’ll see more Striga, for example, if climate change leads to drier conditions,” Oduori says. Striga, or witchweed, is a particularly nasty parasite. The sap-sucking weed can lead to complete loss of crops and once it’s in a farmer’s field, it is nearly impossible to eradicate. Oduori hopes that losses due to Striga can be minimised by finding wild relatives of finger millet that have resistance to this as well as pests and diseases. “Our initial evaluations under controlled conditions showed that some of these wild relatives performed very well and showed resistance to blast and Striga,” Oduori said. This effort is funded by the Crop Wild Relatives (CWR) initiative, a global, 10-year project, supported by the Government of Norway. The initiative is managed by the Crop Trust, an international non-profit organization charged with conserving and making available crop diversity in genebanks. 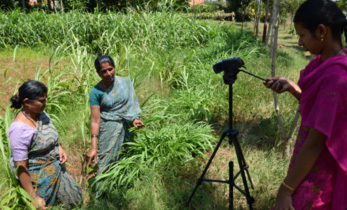 Dr Damaris Odeny, a scientist with the International Crops Research Institute for the Semi-Arid Tropics (ICRISAT), is sequencing the genome of the crop wild relatives and identifying molecular markers, or specific snippets of genome, to help breeders. 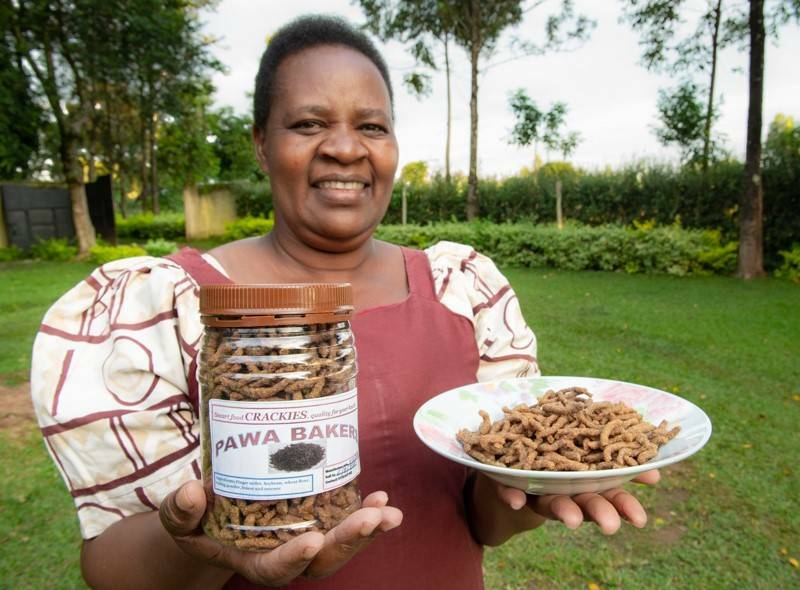 “An earlier project collected wild relatives of finger millet in the countries where the crop originated: Ethiopia, Tanzania, Kenya and Uganda. We now know them down to their DNA,” says Odeny. But these wild relatives lack many of the traits which Oduori bred into his lines, like really high yield, a grain color that’s acceptable to consumers, erect stems, shatter resistance, and early maturation. That is music to Chrispus Oduori’s ears as he reflects back on a time when finger millet fed the people of Eastern Africa. 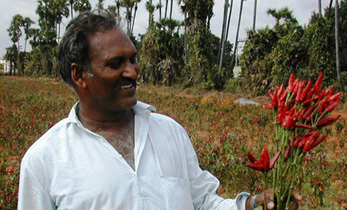 He has spent his career trying to get finger millet back in farmers’ fields and consumers’ plates. Thanks to some unlikely looking plants he may well achieve his goals soon.